Inspired by Baden - established in New Brunswick! At the easternmost point of New Brunswick lies the sprawling “Winegarden Estate”, hidden in the picturesque, hilly landscape near Sackville and covering 300 acres. Located around 2 hours from Fredericton, the wine-growing estate makes for an attractive day trip. Visitors can enjoy a romantic picnic on the estate’s terrace and, of course, sample wine made from grapes indigenous to the region, as well as the estate’s other products, all made by a family business whose history in New Brunswick reads almost like a fairy tale. In 1983, when Werner Rosswog immigrated to Canada from the small town Endingen am Kaiserstuhl with his wife Roswitha, three children, and grandmother Emma Rosswog, he imagined he would spend his old age in peace on a farm. He had a wine-growing estate in the south of the Black Forest which ran more like a side enterprise, but the business wanted to return to his farming roots. He acquired a 120 hectare farm in the little village Baie Verte on New Brunswick’s east coast, which offered a quiet country life with some small-scale livestock farming. However, the mild climate together with New Brunswick’s productive fruit cultivation led to an unplanned change in direction. One day, Werner Rosswog noticed that fruit that had fallen to the ground wasn’t being used by the growers. Upon speaking to a farmer about it, it occurred to Rosswog that he could use those apples to make Black Forest-style schnapps, which is mild and dry. In 1989, with this in mind, he began to transfer the well-tried traditions of the Baden region, known for its wine culture and spirits, to New Brunswick. Werner Rosswog’s business idea created an additional source of income for the fruit farmers. It was a long and difficult road to finally get to the production, marketing, and sale of self-distilled fruit schnapps (and later wine), as the approval of a private distillery was new legal ground in New Brunswick in the 90s. Conservative attitudes and bureaucratic hurdles hindered the project, and could only be overcome with determination, perseverance, and a strategy involving cooperatives. However, thanks to the collaboration with fruit and grape growers, the result was not only a culinary and economic win for the family, but also for the fruit farmers and for New Brunswick. The fruit and grape wines of the Winegarden Estate can be found at the province’s three biggest and best-known farmers markets in Moncton, Fredericton, and Saint John; in New Brunswick Liquor Corporation stores; and in the shops Superstore and Sobeys. At Boyce Market, visitors to Fredericton can buy one of the popular fruit wines made from blueberries, lingonberries, elderberries, raspberries, wild berries, or currants, as well as red or white wines such as L’Acadie Blanc and New Brunswick Cuvée White. The sommeliers John Greet and Cheryl Morel describe the former as light and delicate with notes of honeydew melon, green apple, and a hint of celery. The elegant, sweet dessert wines, which are strengthened with fruit distillates and so have a higher alcohol content and intense taste, make for excellent presents. Flavours include blueberry, raspberry, apple, strawberry, and maple. The private distillery and wine cellar’s collection of wine and spirits is one of the most varied in the country, containing schnapps, brandy, eau-de-vie, herb liqueurs, fruit liqueurs, grape and fruit wines, sparkling wine, dessert wine, and Canadian port. All Winegarden Estate products are manufactured using natural craft techniques. The wines are fermented without the use of preservatives and accelerants, and time-honoured methods are combined with new, modern recipes. The family business now consists of three generations, and it fills up to 2000 bottles a day. 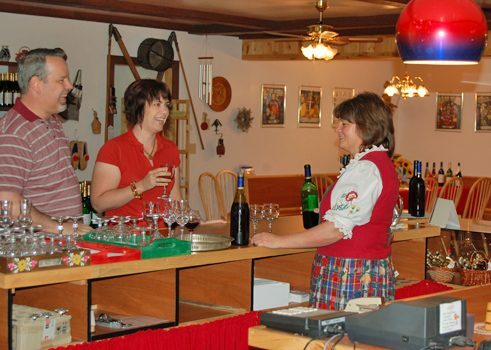 The wine store is decorated in the typical Kaiserstuhl style and cupboards hand-painted by Roswitha Rosswog brighten up the interior. 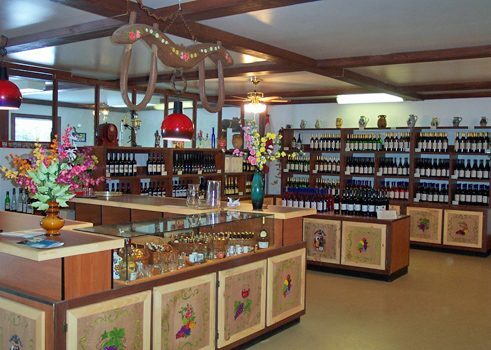 The estate also has a souvenir shop, and in the family museum, visitors can even learn about the history of this wine-growing family from Baden, which stretches back into the 19th century. In addition, it's possible to tour their fermentation facilities and 3000 gallon containers, and to learn how crops from different parts of the province are gathered in order to produce wine for other home wine cellars. Outside the busiest production times, the winery opens up its venue with a seating capacity of 55 for private groups for events and dinners. On the second Sunday in August is the annual Winegarden Weinfest. Held outdoors, visitors can expect traditional German food, local artisan crafts, traditional music, and of course a wine tasting. The festivities begin at noon. The business also invests in keeping old customers and attracting new ones with an open house in the beginning of each year and an event celebrating regular customers in the winter. The contribution of the Rosswog family to New Brunswick’s new identity as a wine-growing region and agro-tourism location is widely recognized: “Werner and Roswitha Rosswog pioneered the wine-growing industry in New Brunswick practically alone. Because of their commitment and their perseverance, in spite of outdated conditions hindering the production of wine products, we now have viable local wineries in our province.” (Peter Mescheau, former Finance Minister, New Brunswick). 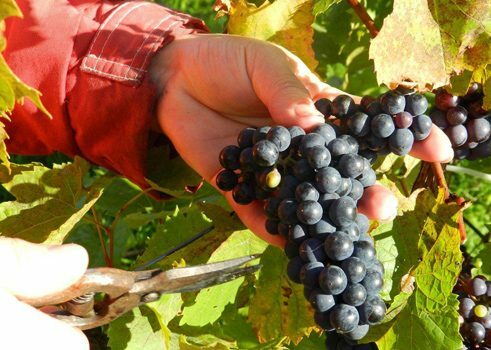 Thanks to the assistance of residents who have taken up gardening and grape growing as a hobby, as well as the spirit of cooperation of local farmers, and the stubbornness of the family business, they can celebrate that a time-tested German tradition became an unexpected win for New Brunswick.